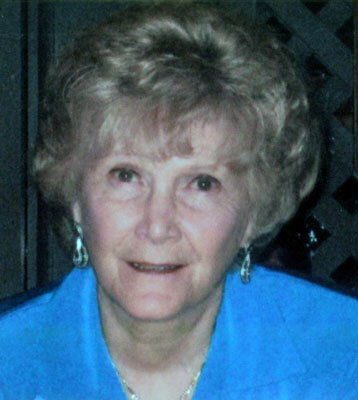 NORTH JACKSON – Services celebrating the life of Nora Jo Campbell, 77, will be held Wednesday at 11 a.m. at the Lane Family Funeral Homes, Austintown Chapel. Nora died Thursday evening at Ashtabula Medical Center with her sons by her side. Nora was born April 10, 1936, in Youngstown, the daughter of James and Dorcas (Blanton) Weinel. Nora was a member of the Canfield Presbyterian Church, and retired from Packard Electric. She graduated from Jackson Milton High School, earned her Associate’s degree from Kent State University Trumbull branch, was a licensed cosmetologist and had her Realtor license. She was a breast cancer survivor, and lived her life to the fullest right up to her passing. She was in the process of remodeling her cottage in Ashtabula and was jet skiing two days before suffering a stroke. Nora was always looking for something new to learn and experience. In her 70s she took up kayaking and sailing. She loved nothing better than traveling, it didn’t matter if it was by plane, car, bus or cruise ship, she was ready to go. Well into her 60s, she made yearly trips “out west” to snow ski, except for the year she skied in New Zealand and Australia. At the age of 72, Nora visited Israel. Nora was a member and former officer of the Youngstown Saxon Club, Moose Club, Good Times Ski Club, Youngstown Ski Club, Ashtabula Yacht & Sailing Club, Packard Retirees and several square dancing clubs. Her activities also included the American Cancer Society, Look Good, Feel Better program, golfing, bocce and bowling leagues. She will be sadly missed by her sons, Richard (Lynette) Cadle of North Jackson, Ronald (Kathy) Cadle of Berlin Center, and Randall Cadle of North Jackson; grandchildren Christopher, Shannon, Alex, Anne and Justin Cadle; and seven great-grandchildren. Nora was preceded in death by her parents; sister Louise Spencer; and brother James Weinel. Family and friends may call from 5 to 8 p.m. Tuesday at the funeral home. Please share your memories of Nora.